A great idea for a precious Christening gift that will be cherished forever. 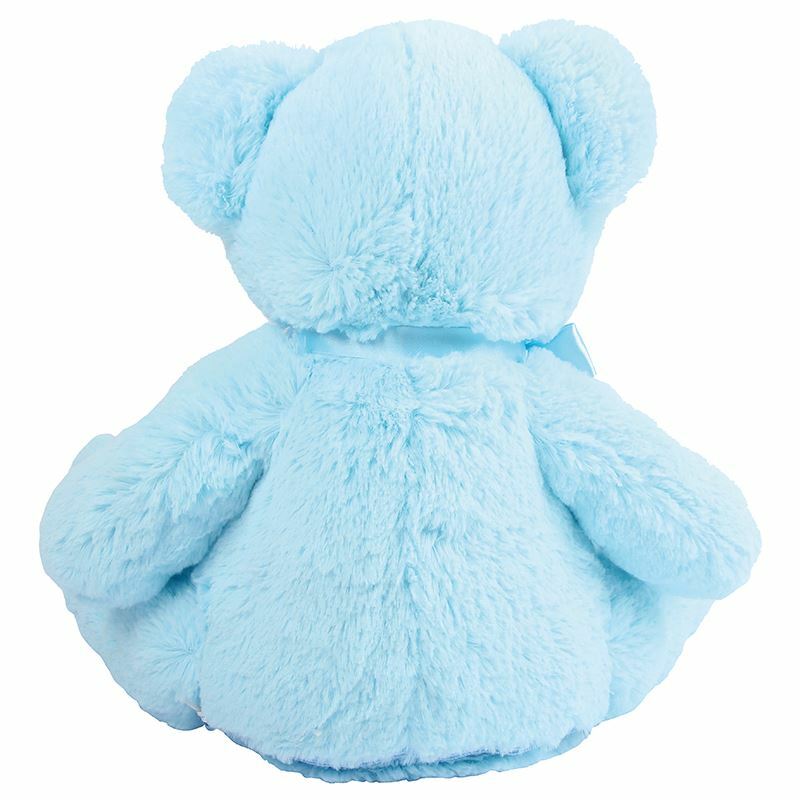 This christening teddy bear is personalised with a name and date to mark this wonderful occasion. Contrast cream nose, front panel and paws. Zip access on the base of the bear to put a pyjama or sweets in. For personalised and embroidered items, please allow 3-5 days before dispatch.